How Can I See Which Suppliers Carry a Product That I'm Not Yet Authorized? You can always see the suppliers who carry items in our catalog, whether or not you're authorized for them. To see what suppliers carry a product you aren't authorized for, select the product in the catalog. 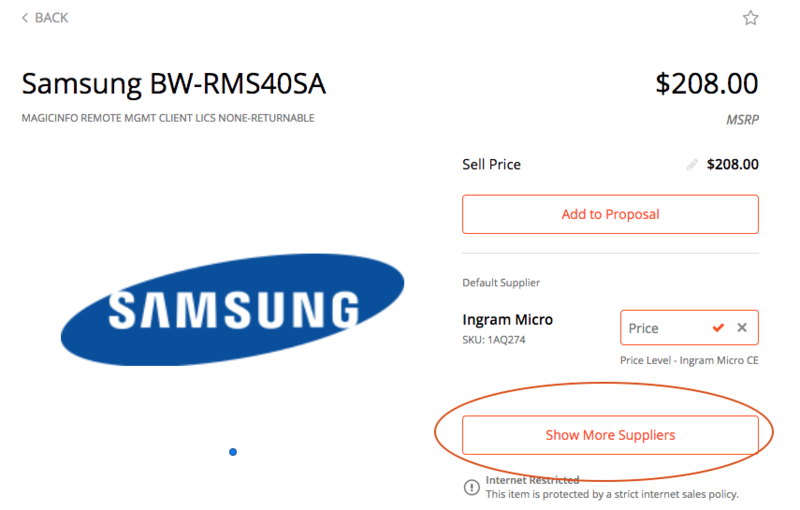 Once you click on the specific item, you'll be taken to the product details page. Here, you'll select Show More Suppliers to view all vendors that carry the item. 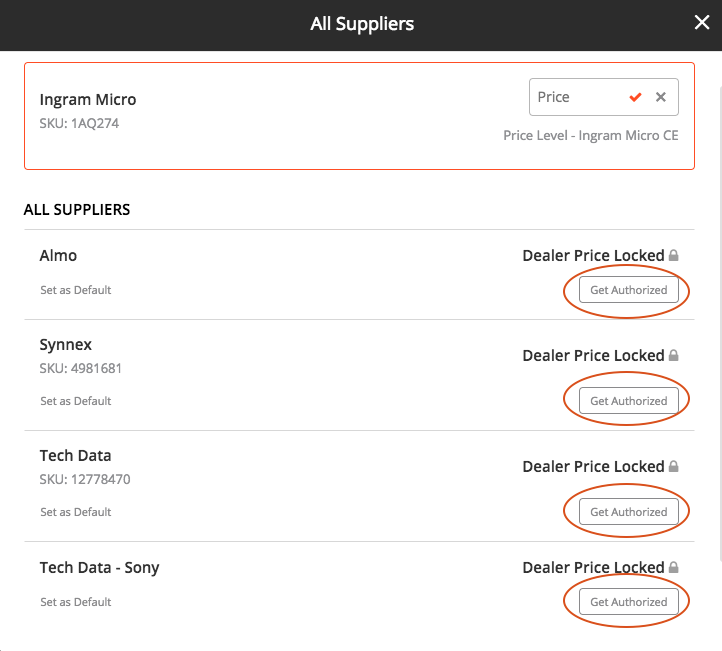 From the list of suppliers that offer this specific product, select "Get Authorized" to get unlocked for that supplier in order to add the item to your purchase order.